Davao Kadayawan Festival is a globally famous annual Philippine festival celebrated in Davao, Mindanao during the third week of August. The city is known as the “Orchid Capital of the Philippines” and the festival shows off the beautiful species of flowers that the city is proud of. See the city in bloom! 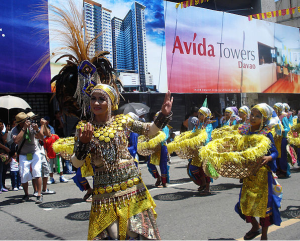 The festival was taken from”Madayaw“, a friendly greeting in Davao. Kadayawan Festival is a week-long thanksgiving celebration of good or bountiful harvest of fruits and orchids, a celebration of life and is also a thanksgiving of the gifts of nature, the wealth of culture and the serenity of living. The highlights of the festival include the Parade of Floats, Street Dance, boat race and stallion fight. 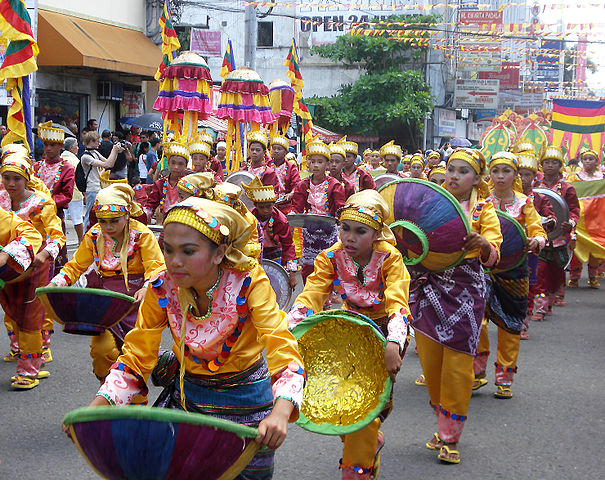 The colorful Kadayawan Festival of Davao is celebrated through a parade of floats of fresh flowers and fruits as well as through street dancing by Davao residents dressed in colorful costumes. The different kinds of tribes also parade the streets with their tribal costumes and jewelry. The street dances usually last for four days with all the streets are adorned with local fruit and vegetables. While street dancing takes place, the harbor of Davao hosts native and power boat races. Another event done in streets is horse fighting where stallions fight for the right to mate with a mare. Davao Kadayawan Festival is also the time when Davao’s artistic, cultural and historical heritage is honored while people celebrate on the streets. The original tribes are also recognized for political reasons particularly for their present day influence through proper organization. The roots of this celebration started many years ago when the ethnic tribes of Davao living at the foot of Mount Apo meet during a bountiful harvest. The ritual is part of a thanksgiving celebration to their gods especially for “Manama” or the Supreme Being. The flower festival name, Kadayawan, was derived from the friendly greeting of “Madayaw” which is from the Dabawenyo word “Dayaw“meaning good, superior, valuable or beautiful. It was the city Mayor of Davao, Rodrigo Duterte, who renamed the festival as“Kadayawan sa Dabaw” in 1988 to celebrate the bountiful harvests of fruits, flowers and other produce as well as the wealth of the city’s cultures.